Clemson head coach Dabo Swinney told reporters that freshman quarterback Trevor Lawrence is expected to be under center to start Saturday's game against Wake Forest. "I definitely expect him to play," Swinney said on Tuesday. "That is why I put him back in practice last night. I don't see a reason why he wouldn't." Lawrence was a full participant in practice on Monday, two days removed from absorbing a vicious hit to the shoulder and head by defensive back Evan Foster during the second quarter of a 27-23 win over Syracuse. Lawrence was examined in the medical tent before retreating to the locker room. 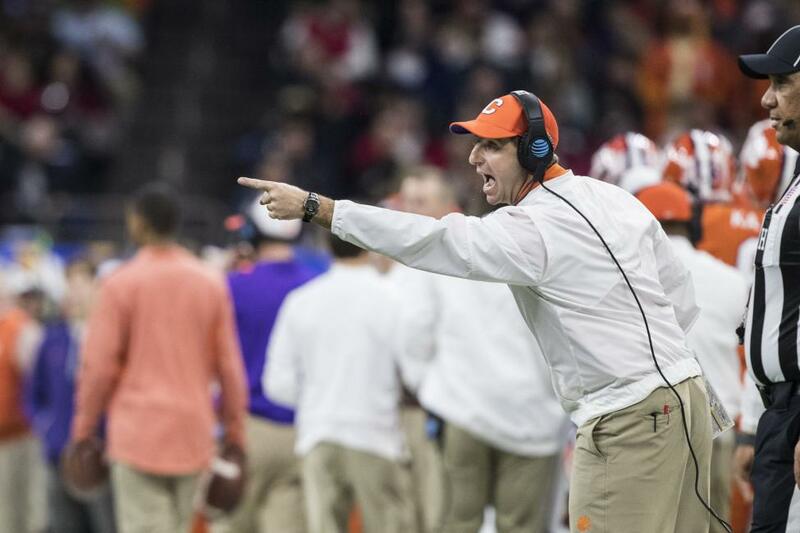 "He got the [expletive] knocked out of him," Swinney said. "It was head and neck. He had some pain, and you get put in concussion protocol with anything that creates a symptom. That's not something you mess with." Lawrence was injured in his first start after senior quarterback Kelly Bryant announced his intent to transfer. That left redshirt freshman Chase Brice to finish out the game versus the Orange. Brice completed 7-of-13 passes for 83 yards and an interception against Syracuse. Prior to Saturday, Brice had attempted just eight passes. "[Bryant] sent me a text congratulating me and all of that," Brice said, via the Charleston Post & Courier. "I saw him after the game, and he was happy for me and he gave me a hug. We keep in touch."